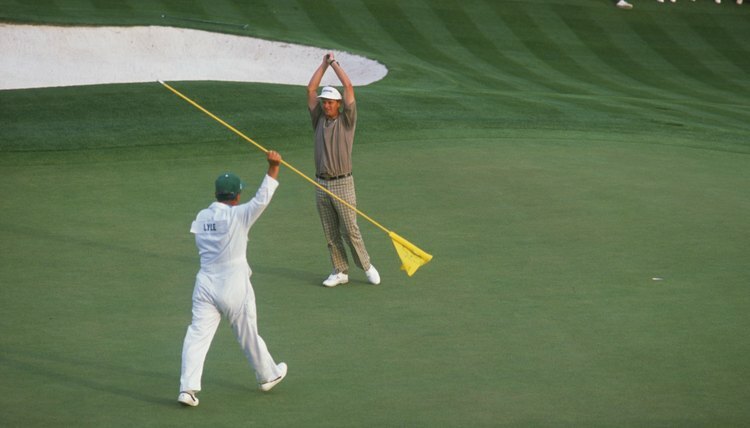 Nailing the putt, Sandy Lyle celebrates his victory on the 18th green during the final round of the 1988 Masters. His stroke from the fairway sand one shot earlier would go down in Masters lore. The green jacket. Is there a more iconic wardrobe item signifying success in all of sports? The greatest golfers from all over the world dream of someday putting on the jacket as the winner of the Masters Tournament at Augusta National. The golf preceding the jacket ceremony, though, has provided some epic moments that are burned into the memories of golf fans and have been retold through the years. The golf club in the small Georgia town of Augusta can claim some of the greatest moments in sports, not just golf. Here are our top eight. 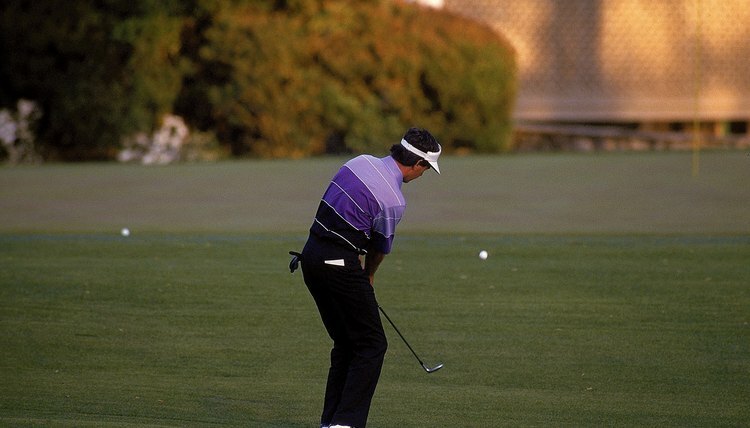 Augusta native Larry Mize chips in a birdie for the win in the second playoff hole of the 1987 Masters. 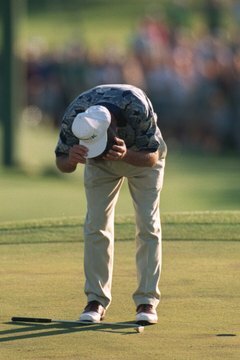 Ben Crenshaw overcome with emotion upon winning the green jacket at the 1995 Masters. 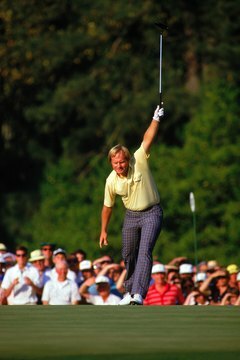 One of the iconic moments in all of sports: The Golden Bear triumphantly raises his club in the air on 17 of the final round, as he watches a tricky 10-foot putt drop into the cup. Randy O. Williams has written for "Sports Illustrated," ESPN.com, "The Los Angeles Times," "Washington Post" and "The Hollywood Reporter," among other publications. He is the author of the book, "Sports Cinema — 100 Movies: The Best of Hollywood’s Athletic Heroes, Losers, Myths and Misfits."